A 4 star superior hotel catering for both business clients and leisure visitors. It offers superior quality facilities in its central Seville location, 100 meters from bus stop, tram stop, metro station and train station, and in walking distance from many tourist attractions. 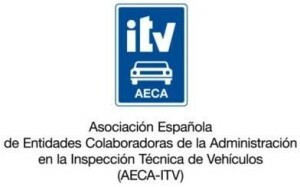 AECA-ITV is the Spanish association representing 54 organisations performing mandatory periodical technical inspections (PTI) of in-use vehicles in Spain. Note “ITV” is Spanish for “PTI”. VEIASA is an Andalusian government company established in 1990. It manages all PTI stations of Andalusia of which there are 54 stations with a total of 182 inspection lines. The Theme of the conference was: “Strategies for Benefiting Roadworthiness”. Three interactive workshops will cover the two first sub-themes, and “Advances in Test Equipment”. Learn and see about Spanish mandatory state of the art technical in-use vehicle roadworthiness inspections, in a brand new VEIASA inspection station.